As the society continues to develop, there is an increased need for the workforce. Working for at least eight hours a day might be a stressor and might pose risks to one’s health. And yet, financing for healthcare costs is another story. 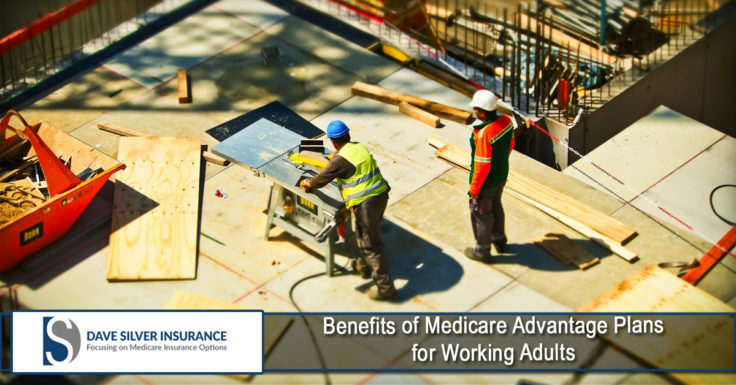 The availability of Medicare Advantage Plans has helped working adults with regard to these situations. You can get Medicare Advantage Plans once you have the Original Medicare (Part A/Hospital and Part B/Medical). This is sometimes being referred to as Part C or MA Plans that are offered by private companies. The plan will provide all the coverage of Part A and B.
Medicare Advantage Plan is different from a Medicare Supplement Plan in a sense that the former is a way to get Medicare benefits while the latter supplements the out-of-pocket costs of the Original Medicare benefits. • Health Maintenance Organization (HMO) plan – In most HMO’s, you can only go to doctors and hospitals covered with the plan’s network except in emergency situations. • Preferred Provider Organization (PPO) plan –In a PPO, you pay less for physicians and hospitals covered with the plan’s network. • Private Fee-for-Service (PFFS) plan – In PFFS, you can go to any healthcare institutions covered with the plan’s payment terms. • Medical Savings Account (MSA) plan- This combines a health plan and a bank account. • This plan can cover all hospital and medical services covered by the Original Medicare except for hospice care. • In any type of advantage plan, emergency and urgent care services are covered. This can also cover outside the plan’s service area (but not outside the US). • Medicare Advantage Plan has expanded benefits that also include dental care, eyeglasses, and wellness programs. Aside from being enrolled first in the Original Medicare, a person must also be in the plan’s service area to be eligible to join Medicare Advantage Plan but those who have permanent kidney diseases are not qualified for the plan. Moreover, in addition to fees of the Original Medicare, monthly payment for premiums is needed to secure the Medicare Advantage Plan. Work-related stressors might bring negative impact to a person’s mind and body. As a working adult, it is essential to prioritize your health. Medicare Advantage Plan can help you achieve and maintain optimum health. The Dave Silver Insurance, has its clients as their first priority with affordable rates and clever policies. To learn more about how we can help you please contact our agency at (941) 907-2879 or Click Here to request a free quote.